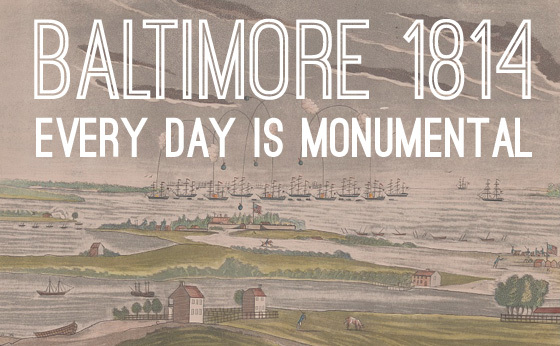 Baltimore 1814 is an online collection of short stories on the history of Baltimore, the War of 1812, and the world of 1814. Throughout all of 2014, check out new short stories every week highlighting events that took place on the same date in 1814. Most of our stories are set in Baltimore but occasional features on events in Maryland and around the world will help us see our city’s, history in a broader context. We’re also using categories and tags to organize these materials into themes — including invention & industry, arts & culture, slavery & abolition — that help you discover stories from earlier in the year on topics that most interest you. In addition to our regular posts and weekly emails, we’re also developing a growing collection of records on people and places to help us all piece together a bigger picture of Baltimore in the early 19th century. Our sources for this project include the rich collections of digitized newspapers, directories, maps and paintings made available through the Maryland State Archives, the Internet Archive and other open access digital collections.